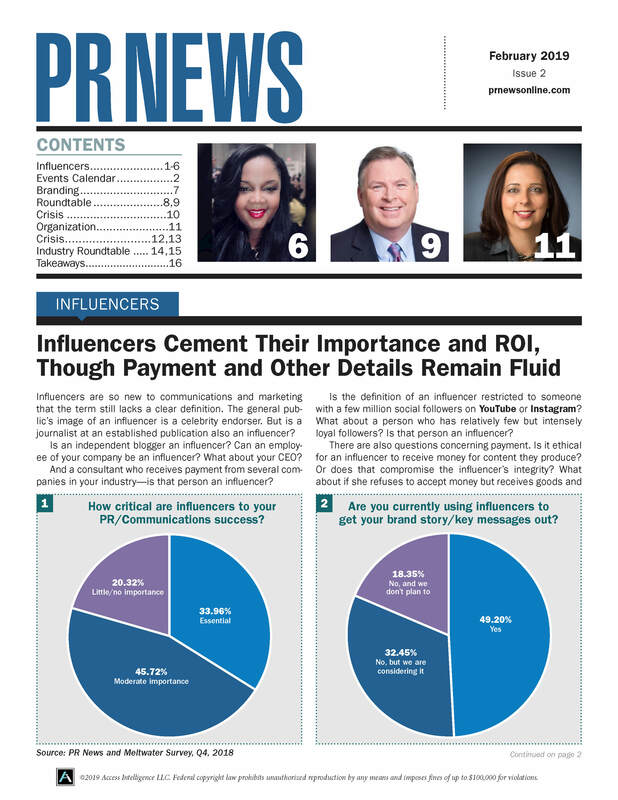 PR News' Media Training Guidebook provides a deep dive on journalist relations, pitching, messaging, spokesperson prep, crisis management, influencer relations, social media and measuring media efforts. Today, “the media” is a kid who posts videos of himself playing video games to YouTube. It’s a college student who Instagrams her nights out. It’s a snarky smartmouth who makes trenchant observations about the whisky industry on Reddit. Yes, it’s also The New York Times, but the impact of your brand’s exposure is no longer measured in column inches, but by how many people see it and how they feel about it. It’s easy to understand why you might long for times when it was easier to wrap your head around exactly whom you were trying to get in touch with, reach out and call it a day. Beyond getting your foot in the door with influencers, we’ve gathered authors from various backgrounds— in-house, agency, nonprofit, ex-reporter—to address the evergreen topics of getting your messaging on point and preparing members of leadership for on-camera interviews. As Kraig Kann, CCO of the LPGA and former lead anchor at Golf Channel, says, your spokesperson is akin to somebody on a stage in the living room, trying to get the attention of an audience making dinner in the kitchen. Our contributors delve into how to get them to come into the next room and spend some time listening, even amid the din of distractions. Just 24% of brands’ spokespeople receive media training yearly, according to a Nasdaq/PR News poll; imagine how much more effective they could be at winning over that audience. It all comes down to telling the right story in the right way, even when things go wrong and the brand is under fire. There are many different paths to that goal—with obstacles along the way in each one—and it’s our aim to get you there. We hope the lessons in this PR News Guidebook will help you achieve success.